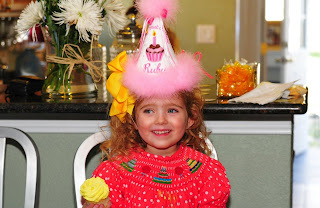 A few months ago, I asked Ruby what kind of birthday party that she wanted for her 3rd birthday. Her reply was simply "Yellow." I thought "Yellow? Well, that's.....obscure....."
After a few weeks of re-confirming that she did, in fact, want a yellow birthday party I did what any sane parent would do and I turned to Pinterest. Obviously. 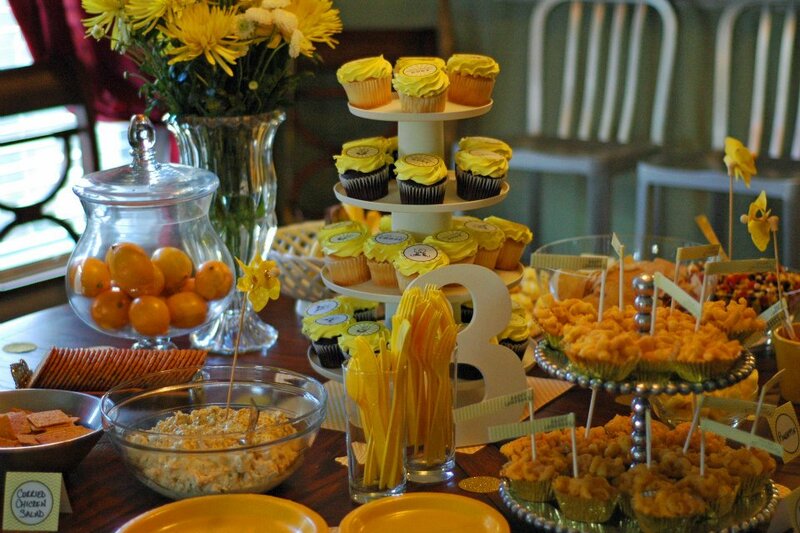 So, it turns out that color-themed birthday parties for toddlers is a thing (who knew), and I was able to find some cute ideas and inspirations. 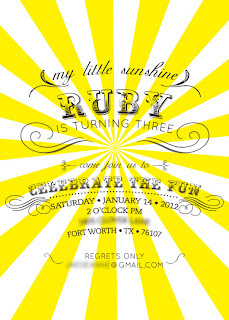 Ruby's birthday is December 22, but to avoid the Christmas hustle and bustle and other obligations we always have her party the second weekend of January. January in Texas can be hit-or-miss. Sometimes it's a frigid, miserable, windy, wet wasteland, and sometimes the heavens open and the angels sing and the weather is absolutely gorgeous. 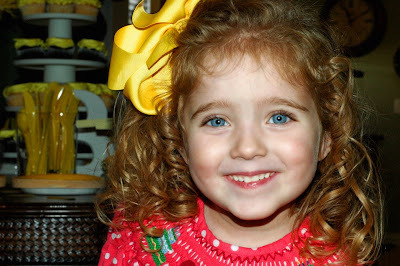 The weekend of Ruby's party, the angels were singing. It was about 65 degrees, sunny, and wonderful. 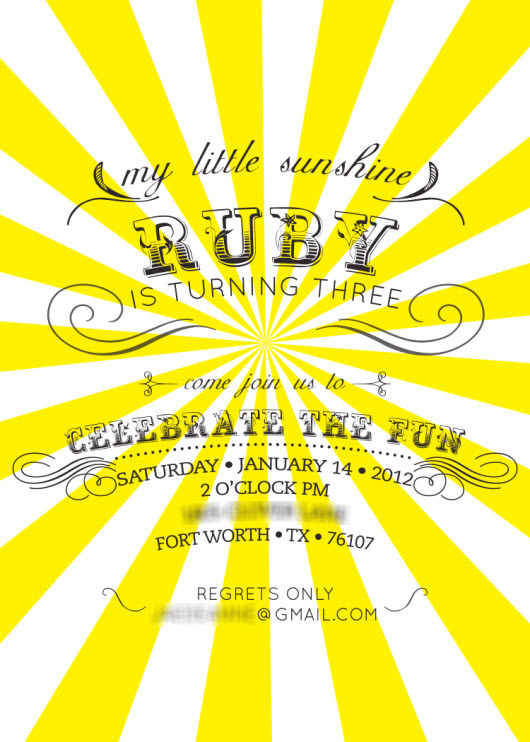 I ordered a custom party package from a great company that I found on Etsy, called Anders Ruff. They designed the invitations, all of the paper decorations including the bunting banner, and the thank-you cards. 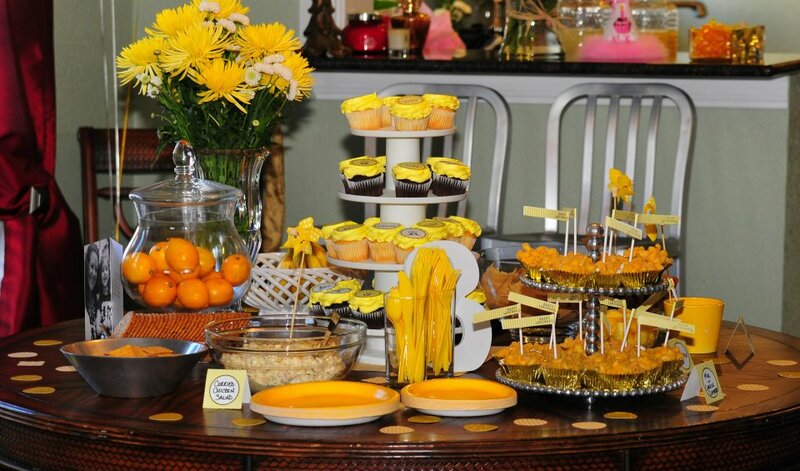 It was so fun to have the custom designs and decorations! She wanted Yellow, so I gave her Yellow! 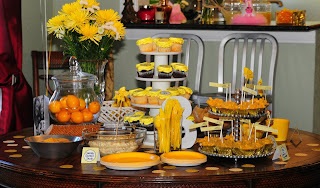 All of the food was yellow - we had curried chicken salad, mac-n-cheese "cupcakes", fiesta corn dip, yellow cupcakes, yellow sugar cookies, yellow candy, goldfish, and bananas. 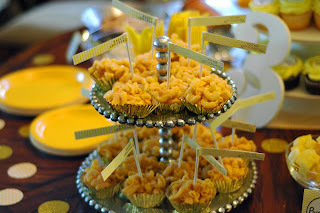 Close up of the mac-n-cheese "cupcakes"
Feel free to judge me, but these are not homemade cupcakes. Sure, I love a good homemade cupcake any day of the week, but if I have a choice I'll always pick these store-bought ones with whipped icing. I could eat that icing by the bucket-full. I only wish I was kidding. In addition to the custom water bottles, we had lemonade and orange juice. The party favors for the guests were Nana's homemade (yellow) meringue cookies. 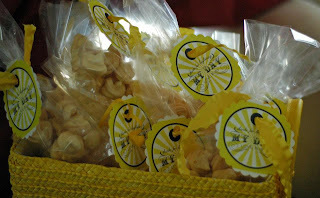 Ruby helped to make them and they are some of her favorite cookies. 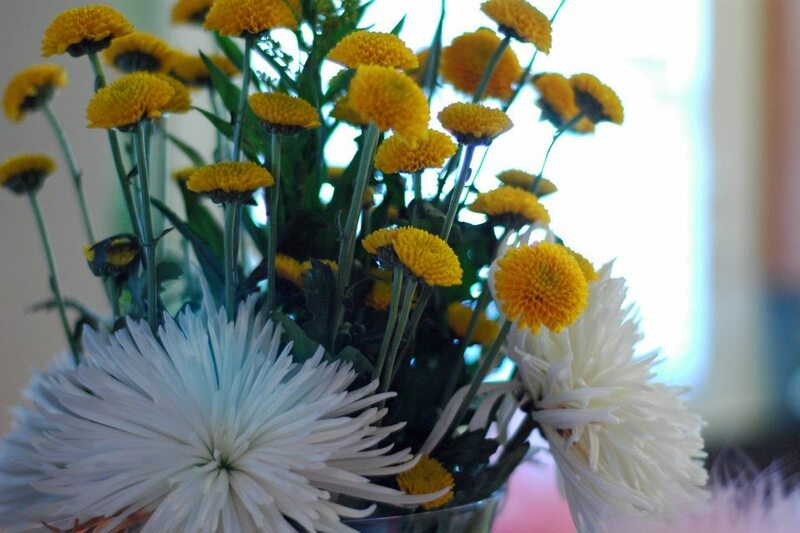 Some of the pretty birthday flowers. Without realizing it, I even coordinated the outdoor landscaping to match the theme. 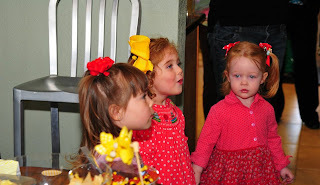 When it was time to sing Happy Birthday to Ruby, she wanted us all to stand in a circle and hold hands while we sang. And she sang to herself also. Aaaaaadorable. The birthday girl and her cupcake. That hat is from her first birthday, but she was very insistent that she wanted to wear it for her third birthday as well. 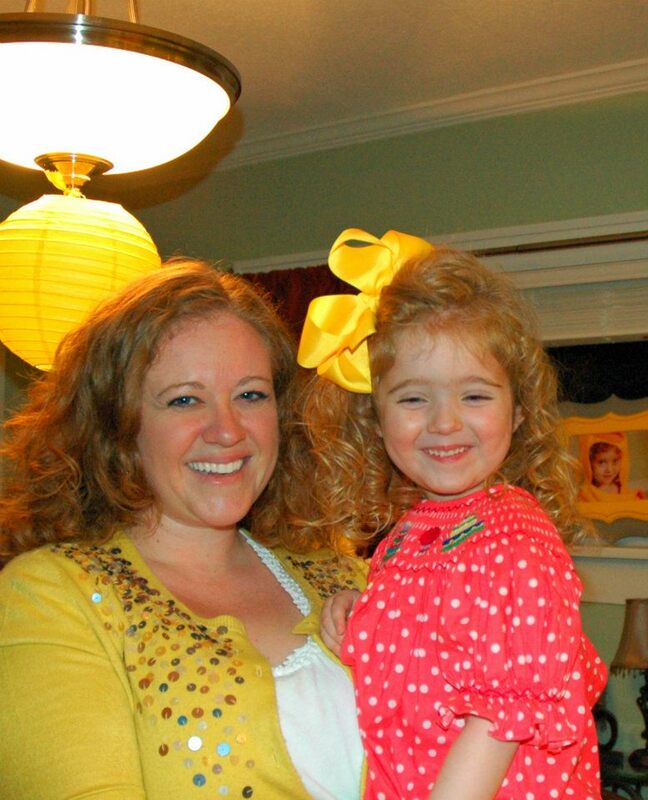 Her dress is from an adorable shop here in Fort Worth called Snug as a Bug. If I have anything to do with it, Ruby will wear smocked dresses until she's in college. I love these things. Ruby had so many gifts that she had to enlist some assistance. 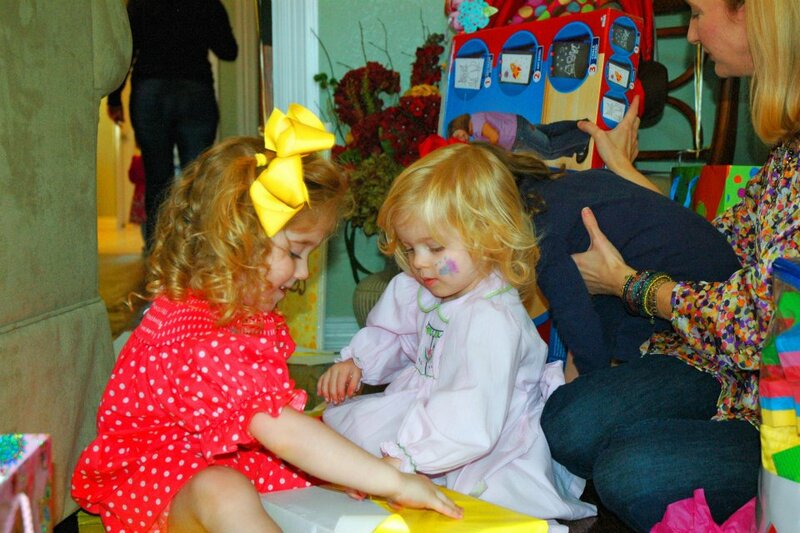 Getting some good help from her friends Hazel and Frances. 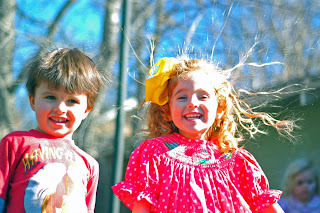 The trampoline was a HUGE hit - the kids played outside in the back yard for most of the party. I have a ton of pictures of the kids with their hair standing up like this - pretty darn cute if you ask me! This is Ruby and her sweet friend Isaac from church. I didn't realize until after all of the guests had left that in the craziness of the day, I hadn't even gotten a picture with the birthday girl. So before Nana walked out the door, I had her snap this shot. We're two very tired and very happy girls. I can't say enough how blessed we are with such amazing friends and family. I was absolutely overwhelmed with the number of people that were able to come and celebrate with us. As a single mommy, sometimes things feel pretty isolated and lonely. But then moments like this weekend come along when the outpouring of love and support reminds me that I don't always have to be superwoman - my friends will love me regardless. I appreciate each and every one of you for helping to make my princess's day so special. My face is still sore from smiling so hard all day.